Sharon Gilshenan at Paul Edmonds London has found the must have treatment Paul Edmonds London client’s have been looking for. 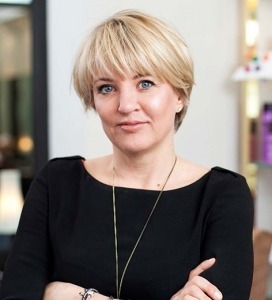 After training many leading industry practitioners and being an ambassador for Merz, Sharon has always believed that the basis of great non-surgical treatments are its elegance and subtleness of natural enhancement. Results that make you look great without anyone ever knowing that you have had a procedure a holistic approach links seamlessly into the Paul Edmonds London discrete beauty philosophy. Fillers have always been a great procedure to seemingly iron the lines, reduce the appearance of wrinkles, increase volume and help sculpt your face shape, however some patients are concerned about this step, from the ingredient to the longevity of the injectable. This is where Profhilo comes in with its patented non cross linked (chemical free) hyaluronic acid based formula. Profhilo is an exciting inimitable skin remodelling treatment that will give visible results in just two visits. This revolutionary unique treatment to rival dermal fillers takes just ten minutes, with only five injection points but it will stimulate four different types of collagen and elastin as part of its slow release of hyaluronic acid, it is this stimulation that results in significant improvement of tissue quality, “cure” certain types of wrinkles and ultimately appearance. It spreads beautifully under the skin and gently hydrates and nourishes at the same time. The reasons being that its formula has one of the highest concentrations of hyaluronic acid on the market. It adds weightless volume for a youthful look. In addition, it has a unique lifting and tightening effect to remodel sagging and ageing tissue. “This is an enormously exciting breakthrough in technology. The science behind is complicated but simply put it, its multi sized chains of hyaluronic acid, that are stabilized using an innovative, non-cross linked (no chemical) process. Hence completely natural. This allows it to spread in the skin at a molecular level never seen before with hyaluronic acid gels. I explain to my patients that they can think of it as placing honey under the skin as opposed to traditional fillers which would be comparable to jelly”. Most importantly this ability to stimulate the whole compliment of collagen (Types I-V) and strengthen a significant amount of elastin, means there is a true rejuvenation of the skin, which not only looks like younger skin, but it behaves in a more youthful way, it feels firmer and elastic. And the best bit is that not only is its truly powerful radiant treatment for the face it can help sagging necks, furrowed brows and crepey skin on chests and arms. These areas that can be notoriously difficult to treat, but with Profhilo, the true results are now possible. 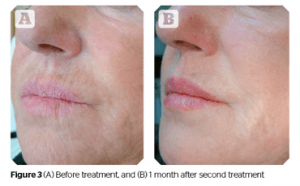 Also compared to “regular” skin boosters, Profhilo requires a tiny number of injections and just two treatments a month apart with a booster 6-8 months are required, longevity varies in patients 12 to 24months. “Profhilo is defining moment for me in aesthetics. It has the ability to change the future of aesthetic treatments because we now can truly help sympathetically, subtlety and positively improve skin quality without adding weight and volume but leaving the skin looking refreshed, glowing and firmer”.